The right tattoo can look pretty cool, but it's hard to decide on a design that you know you'll be stuck with forever. This fear of commitment is what fueled Toronto brothers Tyler and Braden Handley to create Inkbox. 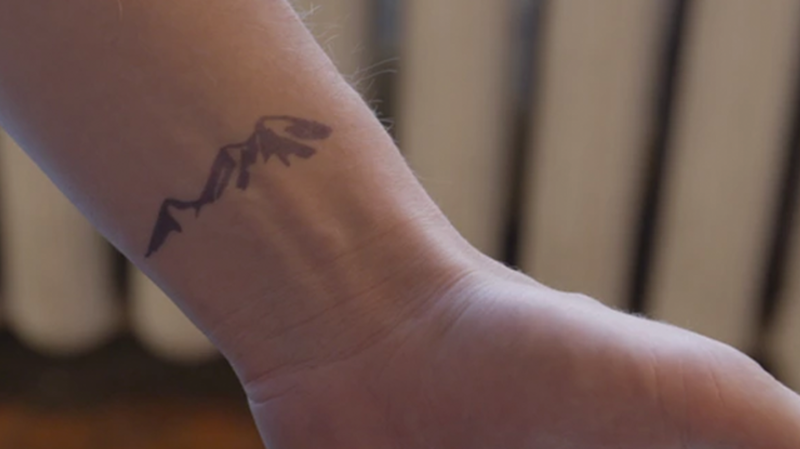 The new product takes 10 minutes to apply and will give the user a realistic-looking tattoo for two weeks. Like traditional temporary tattoos, application is easy. Simply place the Inkbox tattoo in the desired location, then hold the provided towelette on it for three seconds. At first, it will seem like nothing is there, but 12-24 hours later, your new "ink" emerges. Inkbox recommends applying before bed so you can wake up with a new tattoo. The pieces are made from a non-toxic, fruit-based formula that fades gradually over time—which means no dealing with the unsightly peeling that comes with normal temporary tattoos. Unlike the temporary versions you've been exposed to, which merely sit on top of the skin, Inkbox's products temporarily stain the structural proteins in the top layer of your skin black. This process means a longer-lasting tattoo, but it also means you're stuck with it for a while. If you're desperate to have it removed sooner than two weeks, you'll have to exfoliate your skin twice a day. If you're interested, you can buy one right here, or help fund the brand's new formula on their Kickstarter.